The incident occurred after Friday prayers, outside Restoral Amjal near the university, Malay Mail reported. They were chanting "Liar!" and "Where's the RM2.6 billion?" 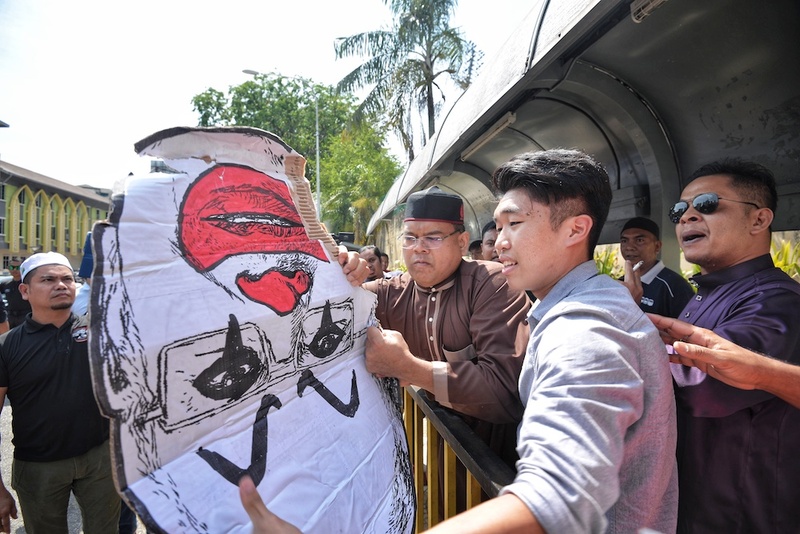 when Najib's supporters confronted them and tore their posters to pieces. 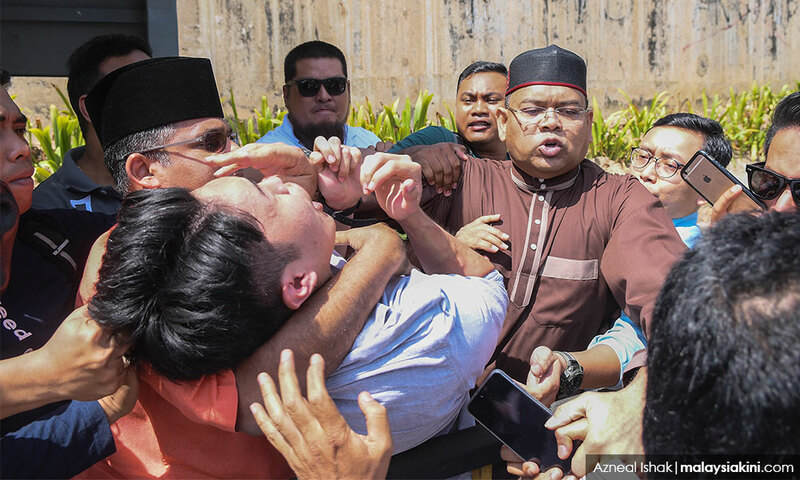 According to Malaysiakini, the student who was choked was the President of UM's Youth Association, Wong Yan Ke. 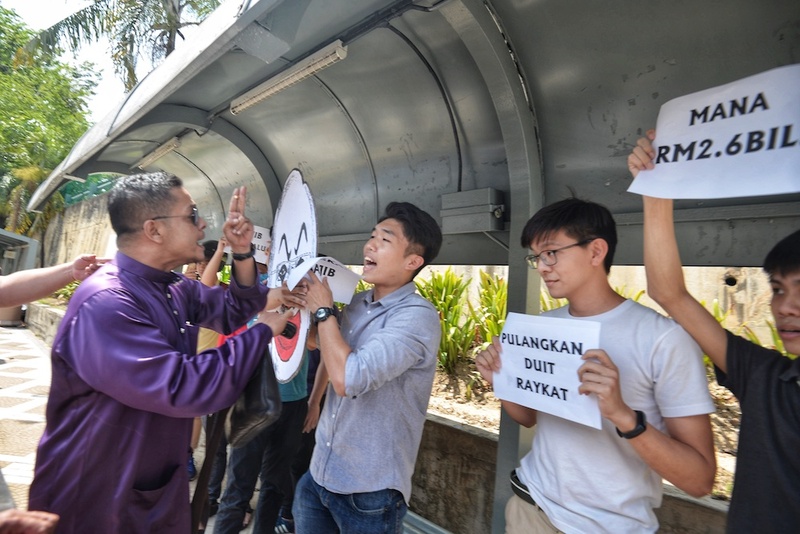 The Pekan MP's supporters continued to trail the youths even after they backed away. 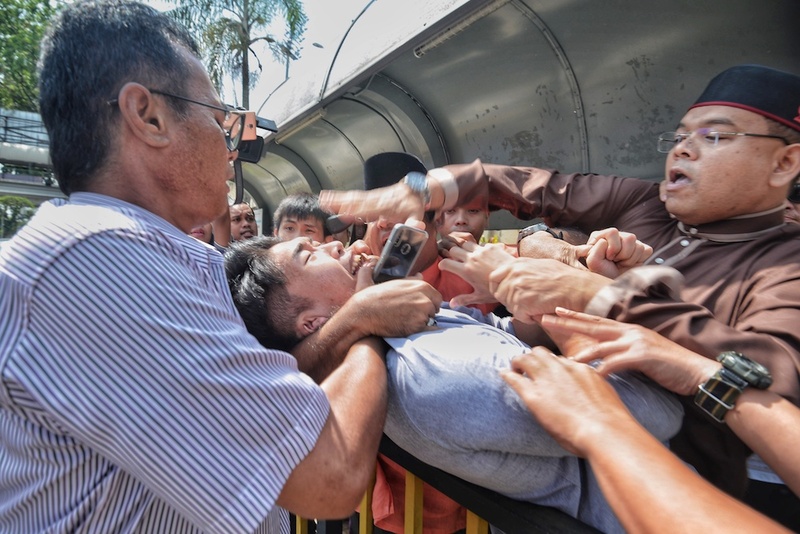 "We were brought to the police station because the police said they wanted to protect us, not to be investigated," Wong told Malaysiakini. Tan Sri Shafee Abdullah was playing with his 10-month-old mix-breed puppy.